Singer/songwriter, Ryan Adams, returned to the Royal Albert Hall for the first time since his debut in 2013, offering a unique songwriting masterclass for young musicians. The artist has released over 15 studio albums since his debut studio release, ‘Heartbreaker’, in 2000, produced music admired by Willie Nelson and Fall Out Boy and published two collections of poetry and short stories. Alongside his extensive schedule, Adams continues to write every day. 1. Always carry a notepad and pen so you can write down overheard conversations, colours and things you see. ANY situation can be inspiring. 2. Choose what you want a song to do, before you write it. 3. Look at the subject from different points of view and several points in time. Time isn’t linear – you could maybe start at the end and work backwards. 4. The longer you sit around playing, the better the chances are that you find something that works. 5. A thesaurus should always be key to a songwriter’s process. Turn to any page and find a word that resonates or inspires you. 6. It’s crucial to disconnect and reconnect to help awaken something deeper inside when writing. 7. If stuck, turn yourself into the character you’re writing about to alleviate your frustrations. You might even end up somewhere totally unexpected. 8. Riff optimism: don’t entertain fear or doubt. When you are writing, nobody is listening or judging you. 9. Take existing songs that challenge you and reconstruct them as yours. Finding your own path through emulation will help you learn from the greats by doing things on your terms. 10. Go where your heart wants to go. Whether you’re working on a political or a spiritual battle cry, songwriting is always a personal journey. “More than you’ll ever know, it’s recreation, it’s craft, it’s ritual. When I turn that faucet on, the water comes out. It’s like the flow of life,” was Adam’s reaction when he was asked about his take on songwriting. He went on saying that he never sets out to write a hit and feels like writing a song only to make millions is a crime against music. 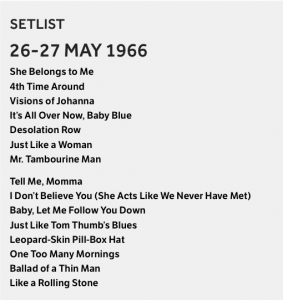 Bob Dylan made his first appearance at the Royal Albert Hall in 1965 right on the heels of the release of his 5th studio album, ‘Bringing It All Back Home’. 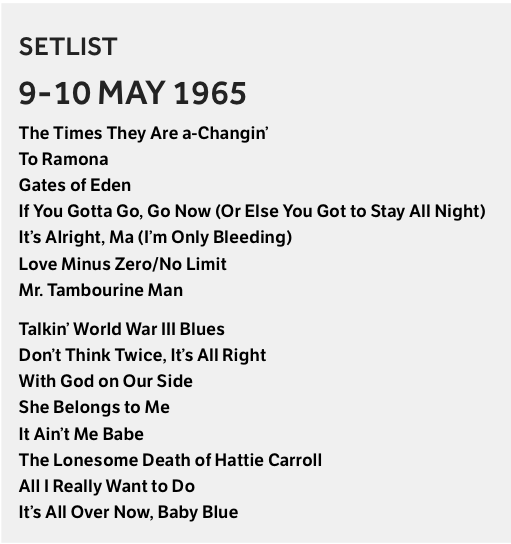 The concerts on the 9th and 10th of May, noted as being his last ever solo acoustic tour, marked the final dates of Dylan’s England Tour in 1965. All four members of The Beatles were in the audience. 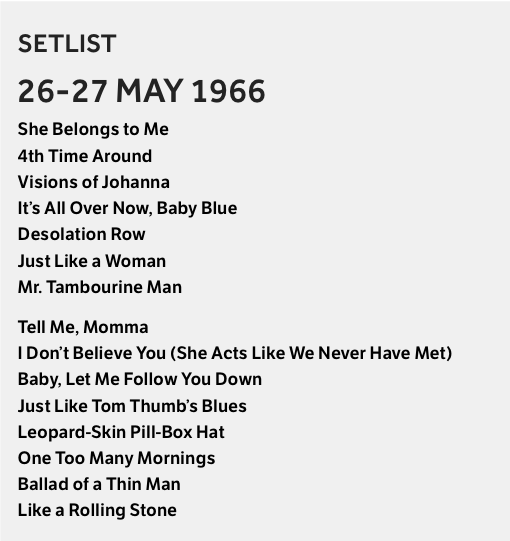 In May 1966, Dylan made an electric return to the Hall performing the final two shows of his full tour with a full electric band backing him. 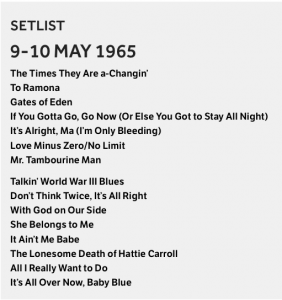 A recording titled, The Bootleg SeriesVol 4: Bob Dylan Live 1966, The Royal Albert Hall Concert, was released in 2008, however, the recordings were made at Manchester’s Free Trade Hall. The album even contains the artist’s confrontation with an audience member who shouted “Judas”, referring to Dylan’s “betrayal” to his acoustic sound. Another individual in the audience exclaimed “I’m never listening to you again” and got the famous “I don’t believe you … you’re a liar” response from the artist. 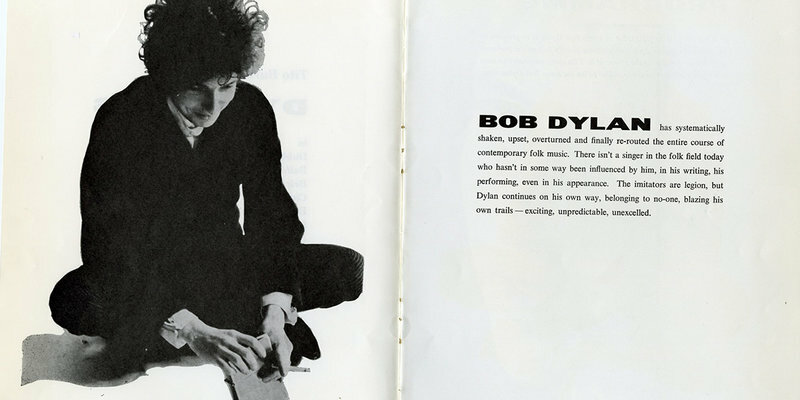 Similar to other tour dates, Dylan opened with an acoustic set which his fans were familiar with before hitting the electric set in the second half. Audiences’ reaction to the artist’s major shift was split in half and it took the artist quite some time to get fans accustomed to his new sound.